It may surprise you, but there’s now a growing interest in low-tech items like pen and paper. Turns out, many people are getting so much screen time that they’re looking for alternative ways to communicate and keep track of information. You can capitalize on this trend by helping bring handwriting back into vogue. How? 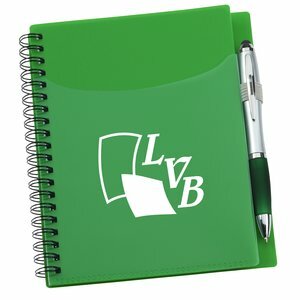 Take a look at some exciting new ideas in the promotional notebook and pen marketplace. 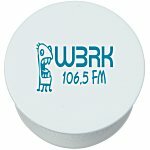 When you promote your brand with unique promotional pens and notebooks, you’re giving your customers, employees and prospects exactly what they really want: a way to unplug. 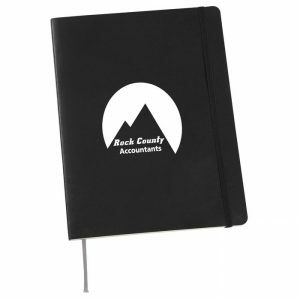 Promotional notebooks and pens are perfect for when your customers are planning to journal about their day or just jot down a phone number. There’s something for everyone: the classically designed pen, the unique promotional pen with a message, even the long-time favorite fountain pens. Notebooks can be the standard spiral-bound or have a twist like a zip closure. These practical giveaways will have your customers, employees and prospects thinking of you with gratitude as they step away from the screen. Pens are pens, right? Wrong! Unique promotional pens can help your brand fit with their sense of style. The interest in all things retro is putting the promotional fountain pen center stage, once again. The Pilot® MR Fountain Tip Metal Pen – Retro Pop Collection provides a splash of color and retro patterns. The genuine stainless-steel fountain point nib is available in fine- or medium-point. Pilot’s Animal Collection features fountain pens with additional style. Go wild for your customers by choosing white tiger, crocodile or leopard print. If you’re looking for something more modern to showcase your brand, check out the Pilot Metropolitan Collection. These pens have a brass barrel and polished stainless steel accents for a timeless look. Looking for something more whimsical to help your customers up their writing game? 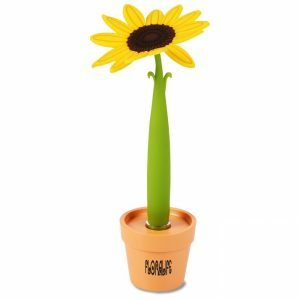 Impress them with your flower power by handing out the Potted Pen – Sunflower featuring your logo. It’s sure to grow your customer base. The MopTopper Stylus Pen will put a smile on their face. 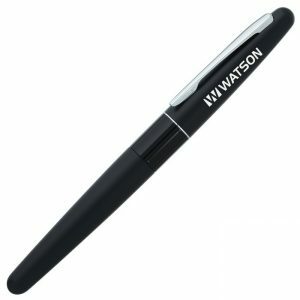 This pen features a stylus by the nib, and the hair works as a screen cleaner. Plus, it comes in a variety of colors to put anyone in a cheerful mood. 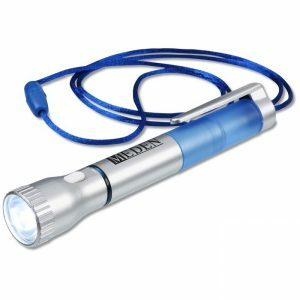 The Flashlight with Pen and Lanyard will draw crowds to your trade show table. It’s two tools in one: an LED flashlight and a fine-tip pen. Plus, it comes on a lanyard, so they’ll never lose sight of your brand. Is your organization committed to helping the planet? 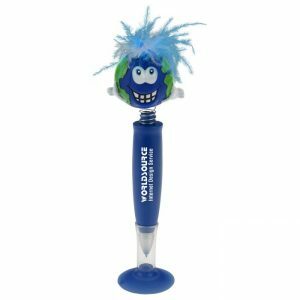 Check out the charming Earth Pen. 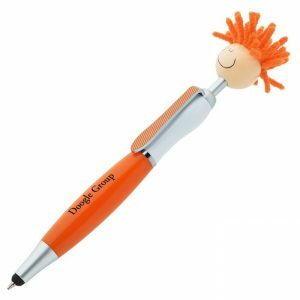 The suction-cup base holds the pen in place while the bobble-head globe and wild feather hair grab attention. It makes for a fun office accessory. 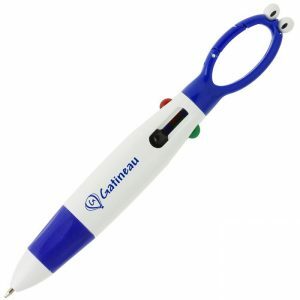 If you want to go outside the box, consider a promotional pen that’s sure to spark laughter: the Googly Eyes 4-Color Pen. Each one has black, blue, red and green ink and a retractor button to switch them. Plus, the unique top features a built-in carabiner, so your brand can easily go wherever they travel. With writing by hand back in vogue, notebooks are in high demand. Never before has there been a wider selection of promotional notebooks. Moleskine®, a leader in the journal and notebook market, is one of the best choices to impress your clients, employees and prospects. The company is even recognizing recent trends by opening cafés for those who want to unplug. When choosing a customized notebook, there are many options. For a classic look, check out the Moleskine Carnet Ruled Notebook. 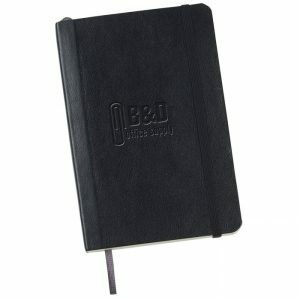 It is perfect for the travelers who like to journal because of its flexible, soft cover and 96 sheets of lined paper. For a more elegant option, look at the Moleskine Soft Cover Notebook, featuring your debossed logo on the cover and an expandable inner pocket. It is sure to inspire poetry—or at least, poetic thoughts about your organization! Want something with a hard cover? The Moleskine Hard Cover Notebook is a colorful option. 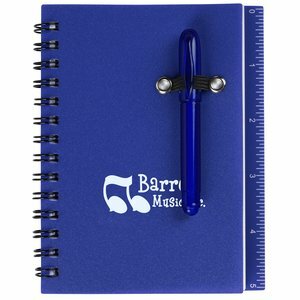 It’s great for taking notes at meetings or writing for pleasure, and it fits easily in a purse or bag. 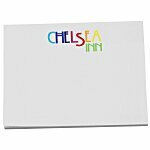 Available in nine colors, its rounded corners and ribbon bookmark help it stand out from the crowd. Moleskine is a key player in the notebook market, but it’s not the only option. There are so many choices, and it’s easy to find something that meets your customers’ needs. If you’re looking for a multi-function option, try the All-in-One Mini Notebook. This handy go-everywhere notebook comes in 11 colors and features a spiral-bound notebook, a color-coordinated mini pen, adhesive notes and a built-in ruler. 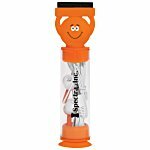 It is the must-have tool for people on the go. The Sorbet Pocket Notebook with Curvy Stylus Pen is another all-in-one model ideal for your busy clientele. This spiral-bound notebook has a loop to hold the popular Curvy Stylus Pen, which has a rubberized grip that matches the notebook cover. There’s even a pocket on the front cover for extra storage. 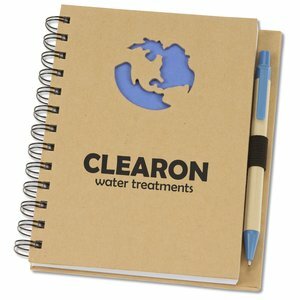 And if you or your customer base is concerned about the environment, consider the Die Cut Recycled Notebook – Globe. It features 100 percent recycled paper. The covers, spiral and included pen also contain recycled material. This is one notebook with global appeal! As technology expands into seemingly every corner of daily life, it’s no surprise that some people are looking for simpler options. When they seek out old-school items like unique promotional pens and notebooks, be ready. It’s easy to find the product for your happily unplugged customers, prospects or employees. I think these notebooks are perfect for any occasion. 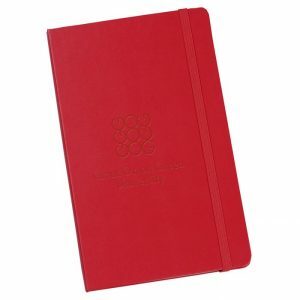 Branded Moleskine® Evernote® smart notebooks help digitize and organize. Handwritten words and sketches are digitally captured in a searchable database. Moleskine notebooks from 4imprint are a great promotion choice when you are looking to make a lasting impression with your clients.